The USRP™ B205mini-i delivers a 1×1 SDR/cognitive radio in the size of a business card. The USRP™ B200mini-i delivers a 1×1 SDR/cognitive radio in the size of a business card. The USRP™ B200mini delivers a 1×1 SDR/cognitive radio in the size of a business card. 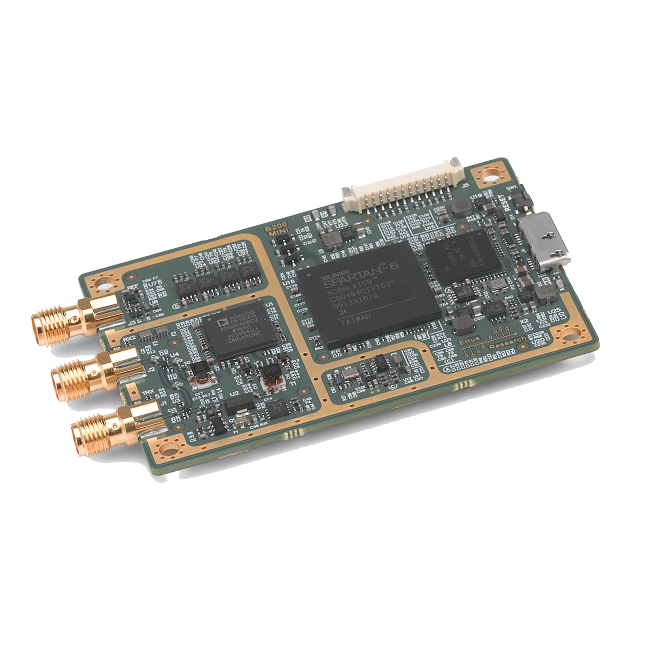 The USRP B210 provides a fully integrated, single-board, Universal Software Radio Peripheral (USRP™) platform with continuous frequency coverage from 70 MHz – 6 GHz.